Grant Crapp Kyle and Jackie O: Love Island star reads texts aloud. The desperate text Love Island's Grant sent to Tayla, in the hopes of getting her back. Holy Crapp, he’s done it again. Love Island’s Grant Crapp just can’t seem to let go and move on from his (incredibly) brief romance with fellow contestant Tayla Damir, who dumped him last week after finding out he had a girlfriend outside of their Spanish villa the entire time. After posting a video to Instagram on Friday in which he begged Tayla to take him back, the 22-year-old continued his pleas on radio Monday morning. 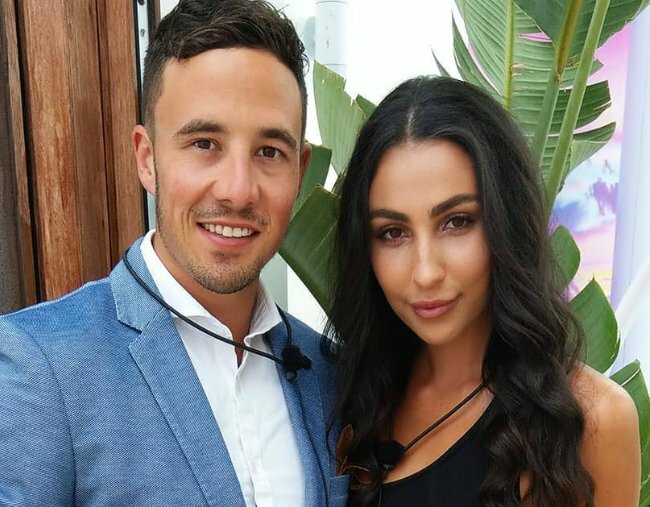 Chatting to KIIS FM’s Kyle and Jackie O, we suspect he did far more harm than good when he decided to read aloud desperate texts he sent to Tayla over the weekend. “I’m trying to make communication with her,” he told the hosts. With very little convincing from Kyle Sandilands and Jackie Henderson, Grant then read aloud one of the messages he sent to the 21-year-old. “Look I know it’s hard, but this is all new to me. I’m trying to handle this the best way possible. I’m not trying to make you look bad and that’s not what I want,” he read. “I still love you, Tayla and I don’t care if you or anyone else believes that, that’s the truth. Sounds sincere, right? Potentially, maybe even sweet, if a little nonsensical. And then he goes and shares a line from his message that indicates he’s learned approximately zero lessons about honesty and keeping promises from this past week. Except, Grant, you actually just told all of Australia. As for Tayla, we sincerely hope she continues her freeze out. If only to see what stunt Grant will attempt next.